The Force Unleashed team is still figuring out what it could do in a third game, said TFU2's project lead Julio Torres. 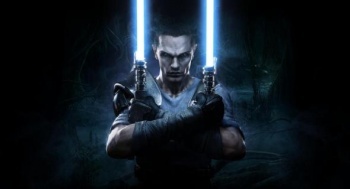 Reports from earlier in the year that Star Wars: The Force Unleashed 3 had become one with the Force might have been a little premature, as Torres said that there is still plenty of opportunity to make a third game. Speaking to Sci-Fi Now magazine, Torres said that there was still space in the Force Unleashed timeline - which fills the nearly twenty year period between the end of Revenge of the Sith and the start of A New Hope - to accommodate another game. The gap between the first and second games was around a year, which meant that there were a few years left before the start of the original Star Wars movie for LucasArts to play with. The timeline was the critical factor, and Torres said that if the team hadn't left itself some breathing room at the end of Force Unleashed 2, then there simply couldn't have been a sequel. He added that the team was figuring out what might happen after Force Unleashed 2 in order to make the canon fit together nicely. It sounds like the Force Unleashed team is in the very early stages of making a third game, although presumably, a lot of the groundwork has already been laid by the first two games in terms of technology. Star Wars: The Force Unleashed 2 comes out for PC, PS3, Xbox 360, Wii and DS on October 26th.